Home Contests 2 Taylormade Contests Going on Right NOW! 2 Taylormade Contests Going on Right NOW! We just got word from Taylormade Golf that due to the overwhelming response (emails) we have received on the Kia Ma story we did on Friday to complete THP’s Putter Week, we will be giving one away this coming week. For those that missed the story you can still read it by clicking here. We are going to try and this one fun and entertaining all at once. To enter this contest we wanted to do something a little different. Since that article has been published we have received hundreds of emails asking more questions about Kia Ma and the journey that took him to where he is today. So the rules for this one are simple. If you had the opportunity to ask Kia Ma one question, what would that question be? The winner of the contest, not only wins a Taylormade Rossa TP KiaMa Putter, but they also get their question answered for everybody. Simply email josh@thehackersparadise.com or golfergal@thehackersparadise.com your one question for the man behind these great putters Kia Ma. This contest will run until Monday August 31st, 2009. This contest is open to EVERYBODY that reads this and wants to participate. We hope everybody has fun with this one. The winner will be chosen and the prize will be shipped directly from Taylormade. Good luck to all and we look forward to a lot of entries. 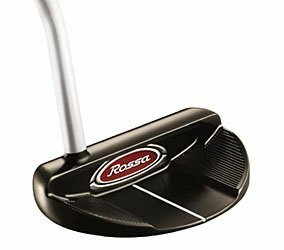 The putter up for grabs is the Taylormade Rossa TP KiaMa Monte Carlo in 35″. It will be shipped brand new from Taylormade Golf. The picture does not do it justice with just how gorgeous this one is. To celebrate the win of the PGA Championship by Y.E. Yang, and his incredible shot on #18 with a Taylormade Rescue and TP Red golf ball, THP and Taylormade Golf want to give you a setup so that you can recreate it on your own. Here are the details. The winner of this contest will receive a brand new Taylormade Rescue TP with FCT, their premier hybrid and a dozen TP Red golf balls. To enter you will send an email to josh@thehackersparadise or private message and tell us in one sentence how amazing the shot was. We hope everybody has fun with this one. The winner will be chosen and the prize will be shipped directly from Taylormade. Good luck to all and we look forward to a lot of entries. Good luck to everybody that enters and of course stay tuned to our forum as the winners and updates will be announced there. TRULY, THE SHOT HEARD ‘ROUND THE WORLD! Any word on the winners for these great TM contests???? Both contest winners were announced in our forum.